Without vitamin E, the body cannot reproduce. The importance of vitamin E for healthy reproduction was first discovered in feed-trial studies performed on rats from as far back as 1922. Today, we know vitamin E is an essential antioxidant, as a result of research showing it is essential in protecting and improving cellular health. Each and every part of the body is made up of trillions of cells, including the reproductive organs, the egg, and the sperm. Alpha-tocopherol is the chemical name for the most active form of vitamin E. The term tocopherol comes from the Greek words tokos, which means “offspring,” and phero, which means “to bear”. Tocopherol literally means “to bear children”. Clearly vitamin E is essential to healthy fertility. Vitamin E functions primarily as an antioxidant, protecting cell membranes from oxidative damage. It has been shown to be especially effective for protecting nerve cells, red blood cells, and immune system function, aiding in the prevention of and healing of neurological disorders, chronic viral illness, and anemia, shared Michael T. Murray, M.D. in The Encylopedia of Nutritional Suppelements. 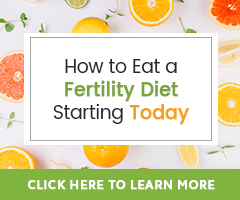 Several studies have been performed in relation to fertility health, revealing its importance for reproductive function and health. Vitamin E is incorporated into the lipid (fatty) part of the cell membrane, where it stabilizes and protects the cell membrane from toxic compounds including lead, mercury, and other heavy metals; toxic compounds such as benzene, carbon tetrachloride, cleaning solvents (all known endocrine disruptors); medications; radiation; and free-radicals. This is especially important for hormonal balance, as well as cellular health. Toxic compounds have been shown to contribute to infertility. A study published by Fertility and Sterility in April, 2010, showed that vitamin E supplementation may aid in increasing the thickness of the endometrium in women with thin uterine lining <8mm. Researchers wanted to see if these supplements could increase uterine radial artery (uRA) blood flow. Results showed vitamin E given at 600mg a day increased uRA in 72% of patients and endometrial thickness (EM) in 52% of patients. Vitamin E is known to increase sperm health and motility. In one study, it was shown that sperm motility, percent of live sperm, and percent of normal spermatozoa all increased with the supplementation of vitamin E and selenium (Archives of Andrology > Journal of Reproductive Systems). As mentioned previously, a study performed on rats whose diet was devoid of vitamin E showed those rats to become infertile – male rat’s sperm became immobile and female rats had a higher rate of miscarriages than rats who were not vitamin E deficient. The Journal of Biological Chemistry published research showing that once the rats were given wheat germ oil (naturally rich in vitamin E) as part of their diet, the rat’s fertility was restored. Oxidative stress is a major concern for women who are trying to conceive and have either insulin resistant PCOS or diabetes. Vitamin E supplementation has been shown to improve insulin action. One study showed that non-insulin taking, otherwise healthy diabetics who took 1,310 IU of vitamin E for 4 months had improved glucose tolerance and insulin sensitivity. The researchers’ conclusion was that the vitamin E supplementation reduces oxidative stress, improving cell membrane physical characteristics and related activities in the transport of glucose. Speak with your doctor prior to using vitamin E at higher levels as part of a diabetes management plan. Vitamin E (alpha-tocopherol) supplementation is common for the reduction of fibrocystic breast disease and premenstrual syndrome (PMS). Premenstrual syndrome is cyclic and comes with many uncomfortable symptoms including, painful swelling of the breasts, bloating, water retention, cramping, headache, dizziness, foggy thinking, irritability and depression. Fibrocystic breast disease are benign tumors of the breast and often become painful and swollen with the onset of menstruation. Studies, such as a 2009 double-blind clinical trial out of Iran of 150 women reported in the Breast Journal, indicate that women given 600 IU of vitamin E per day had a reduction in overall PMS symptoms, particularly fibrocystic breast disease. It appears the vitamin E normalizes hormone levels in both PMS and FBD patients. It has been shown that men who prepared with vitamin E prior to IVF treatment, with their partners, had an increase in rate of fertilization from 19% to 29%. First and foremost, vitamin E should be consumed by eating a diet rich in a variety of different whole foods. Foods that are rich in vitamin E are: Raw vegetable oils, nuts, nut butters, sunflower seeds, wheat germ oil, rice bran oil, barley, seaweed, green leafy vegetables, broccoli, asparagus, avocado, berries, and tomatoes. As you learned before, vitamin E is an antioxidant. Antioxidants help protect the body from the damage caused by free radicals. Antioxidants neutralize the free radicals, stopping further damage from happening and protecting the cells’ health, but the body needs a variety of antioxidants to do this. Antioxidants work to stop free radicals by engulfing them, and then melding into its molecular structure. Antioxidants rely on other “sister” antioxidants to come and revive them, so they can continue on to stop free radicals from spreading and damaging cells. CoQ10, vitamin C and Lipoic Acid revive vitamin E. In order to be sure you are getting a wide variety of antioxidants, we suggest you supplement with a complete antioxidant supplement to protect cellular health. There are a variety of different forms of vitamin E. If you choose to supplement with vitamin E, be sure you are getting it through whole foods; and second choose natural sources, never synthetic. There are several other natural tocopherols that demonstrate vitamin E activity and exert antioxidant activity, they are: d-beta-, d-gamma-, d-delta-, and a group of related compounds known as tocotrienols. These are not as strong as d-alpha, but still beneficial. Suggested daily usage: 500mg a day of mixed tocopherols and tocotrienols in addition to a diet rich in vitamin E foods. Murray, Michael T., N.D. (1996).Encyclopedia of Nutritional Supplements The Essential Guide for Improving Your Health Naturally. Three Rivers Press. He is taking 6 pills (100) /day for 2 months. His vitamin.E Level is 1.6 mg/L. The Normal Range: 11.6 -46.2. How much the needed dose and time for him to reach the normal level? This will be best to ask his healthcare provider. I am certain he/she will monitor his levels throughout his program to help you know when he can either decrease the dose, wean off or stop supplementing. I can not know how long this will take for him! was your husband able to make a recovery? I am currently working on fixing a vitamin e deficiency. Thank you for these detailed informations, and i add that Vitamine C and Zink are known to be two necessary nutrients for fertility. Several scientific researches have proved that the most important mineral for female (as well as male) fertility is zinc! This is true! Zinc has many fertility benefits for men and women. I am curious on your opinion about survey done in 2009 in the Netherlands that concluded that supplementing with vit E round conception (so obviously while ttc) and in early pregnancy (up to 8 weeks) may increase risk of baby having congenital heart defect? That would be in complete contrast to what is stated on your website. Thank you for your patience in my reply. I have taken time to read the report you shared and discuss this with my colleague, the author of this article on Vitamin E.
2. The study findings in this report don’t share what form of vitamin E was consumed. 3. The other “important limitations to this research” stated at the end of the report. Further research does indeed need to be done that can approve, or disprove these findings and correct for the limitations. The problem being many won’t take the risk of testing pregnant women (thank goodness really) in the event there may be an ill affect. The general suggested use of Vitamin E shared here is based on the author’s research and if concerned about your levels, it would be best to talk to your doctor about them and the best amount of vitamin E for your needs. Your reaction is completely warranted, as you are pregnant and you only want the best for your baby! I think if you are worried, it is completely fine to only supplement with vitamin E levels you are comfortable with. Your doctor or midwife can help guide you in this and tailor it to your needs based on your diet. The 600IU levels come from research on helping to prevent early pregnancy loss, but that doesn’t mean that amount of supplementation with be right for everyone. Really it is a generalization. 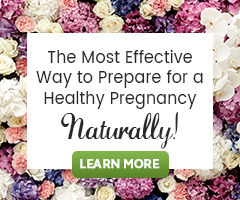 Your prenatal multivitamin should be giving you enough vitamin E and if you are not at risk for miscarriage, you shouldn’t really need much more, unless your diet is lacking. I am sorry you lost your son and when something so painful like that happens, it is a parent’s natural instinct to want to find answers to the cause. I understand where you are coming from. Sending you many blessings for a healthy and happy pregnancy and baby! I am taking bromocryptine for high prolactin.Is it ok to take vitamin e (400 IU in synthetic form ) daily along with bromocryptine to increase chances of conception. And for how long should i take it. I have not heard of vitamin E being contraindicated with bromocryptine, but this may be a better question asked of your doctor or pharmacist. I noticed that in “Fertilica Choice Antioxidants” a daily dosage of Vitamin E is 500 IU. Is it enough for men? It’s not clear, unfortunately, from the post. It says “up to 500 mg”, which is close to 1000 IU. If so, why ” Fertilica Choice Antioxidants” dosage is less? I am sorry this was not made clear. General suggested use of vitamin E is 500mg a day of mixed tocopherols and tocotrienols in addition to a diet rich in vitamin E foods for both women and men. Fertilica Choice Antioxidants contains 500IU of vitamin E.
It is my understanding that 500mg is approximately 580.7IU. For vitamin E: 1 IU is the biological equivalent of about 0.67 mg d-alpha-tocopherol. Good Evening! I have been told by my doctors that I already have a very thick lining of my uterine walls. I was also told this is not normal but it is nothing to be weary of with trying to conceive. With an already thick lining should I stay clear of taking too much Vitamin E? and is a thick lining a cause for concern? I also have a 3.9cm fibroid sitting on top of my uterus. Dietary sources of vitamin E may provide adequate levels for many women. It is best not to exceed the general suggested use instruction of any nutrient no matter the fertility health condition. The thickness of the uterine lining will change slightly throughout the stages of the menstrual cycle. This thickness may differ from woman to woman as well. If this thickness is not normal as you have been told, it will be best to discuss with your healthcare provider what has led to this for you. Is there a fertility health issue or hormonal imbalance contributing? Often a thick uterine lining is an indication of excess estrogen which is the hormone that fuels endometrial lining growth and and low levels of progesterone. Uterine fibroids are also indicators of the body having excess estrogen. 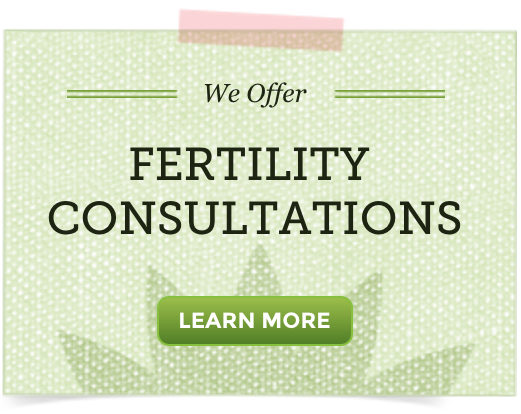 There are many other fertility health issues known to cause a thick uterine lining. Diet and lifestyle can contribute as well. Is Vitamin E safe to take it you have Hashimoto’s? I noticed the bottle at Whole Foods said it contain soy. I typically do not eat anything with soy do to my thyroid. The person at Whole Foods said that all Vitamin E is derived from soy. Is this form safe for someone with thyroid issues or should it be avoided? Thank you! Vitamin E and Selenium are known to be two nutrients necessary to help the body properly convert thyroid hormones. Vitamin E is also known to play a role in healthy immune system function which may be supporting with immune-related health issues. Whether the supplement you mention is safe for you to use, I do not know. It would be best to speak with your healthcare provider about supplementing Vitamin E and with this specific product. Vitamin E is not only found in soy. If wishing to avoid soy and isolated nutrients from soy, consider searching for a new supplement and incorporation foods rich in vitamin E into your diet. There are many foods rich in vitamin E that can be added to ones diet, which include raw vegetable oils, wheat germ oil, nuts, nut butters, rice bran oil, barley, seaweed, green leafy vegetables, asparagus, avocado, berries, and tomatoes. We feel it is first and foremost important to eat a diet rich in vitamin and the supplement with a whole food vitamin supplement if needed. Is 1000iu of Vitamin E to much to take daily? Vitamin E content of nutritional or dietary supplements is listed on a label in international units (IUs), a measure of biological activity rather than quantity which is measured in milligrams (mg). Conversion rules for naturally-sourced vitamin E (d-alpha-tocopherol) and synthetically-produced vitamin E (dl-alpha-tocopherol) are different. Suggested daily use of mixed tocopherols and tocotrienols in addition to a diet rich in vitamin E foods is 500mg per day. 1000IU of natural vitamin E would be 670mg and of synthetic vitamin E would be 450mg. So, unless be instructed to take 100IU of vitamin E by your healthcare provider, this may be a bit too much. CoQ10 Ubiquinol and Vitamin E can be taken all cycle long while trying to conceive. It is best to speak with your healthcare provider about taking them in pregnancy.